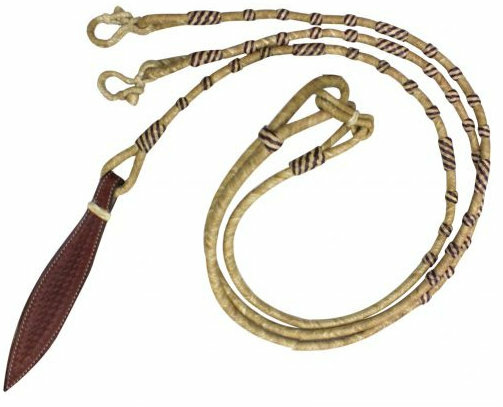 #027 natural rawhide braided romal reins with leather popper. 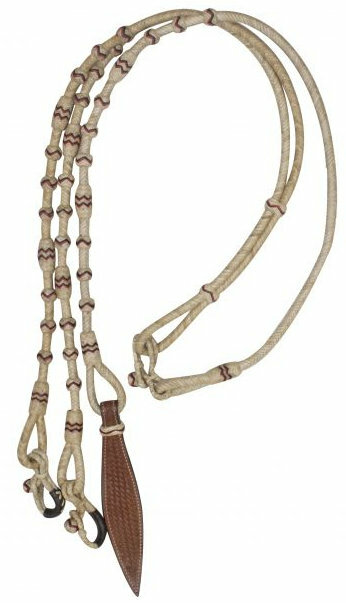 #029 Braided Natural Rawhide Romal Reins with Leather Popper. 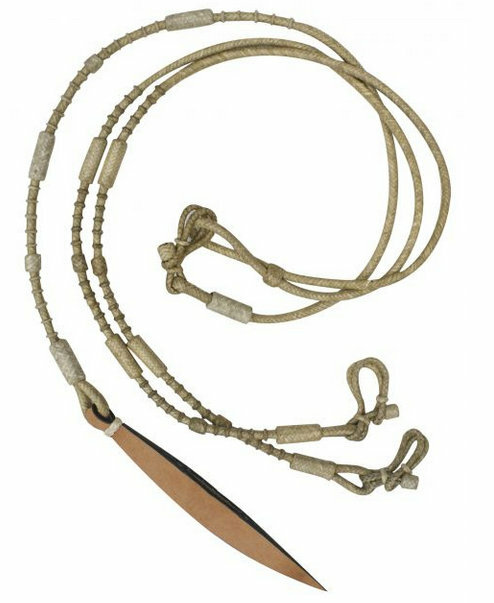 #031 Braided Natural Rawhide Romal Reins with Leather Popper. 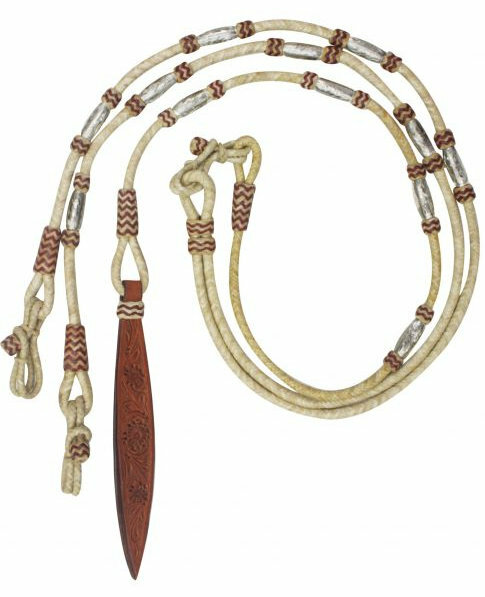 #175555 Braided Natural Rawhide Romal Reins with Leather Popper. 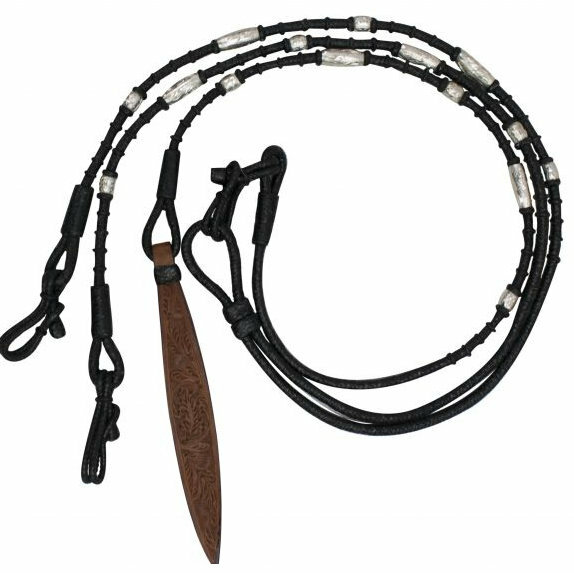 #175560 Black Braided Natural Rawhide Romal Reins with Leather Popper. 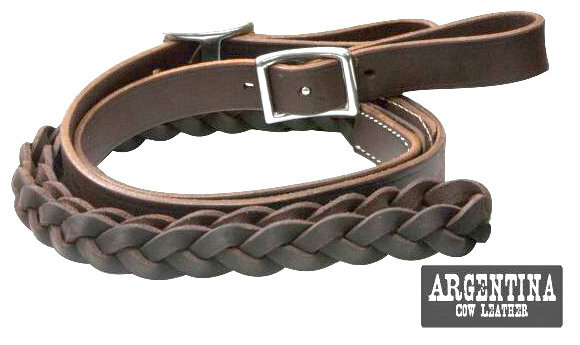 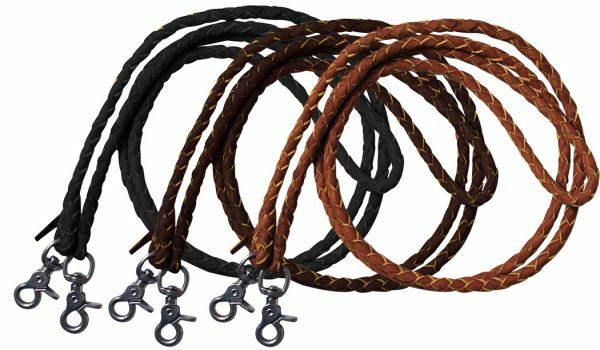 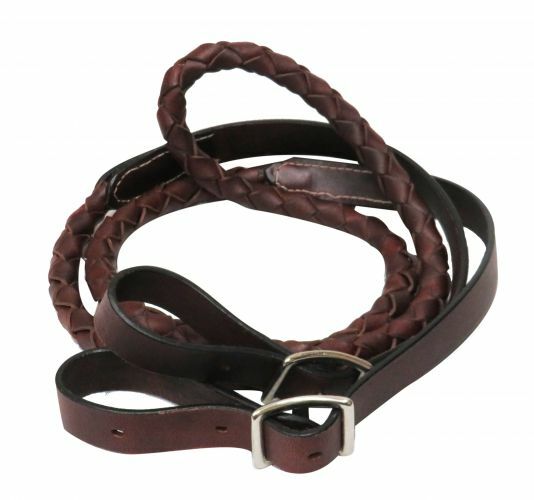 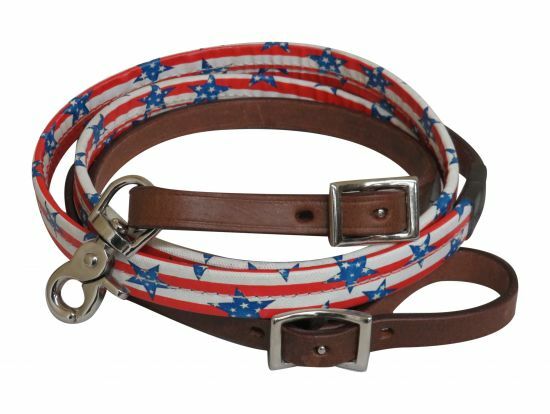 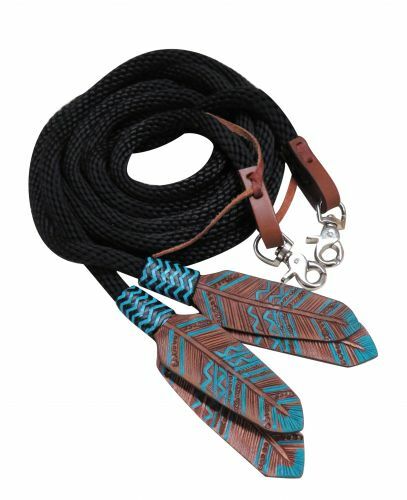 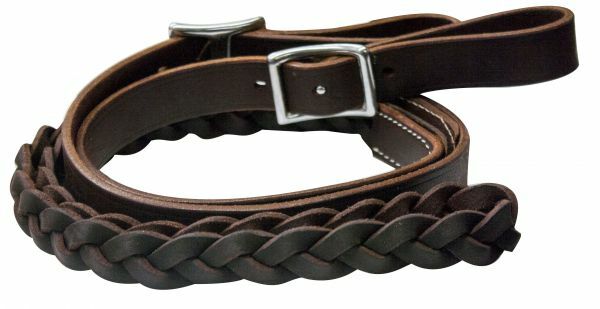 #19068 8ft Argentina cow leather reins with burgundy braided rawhide accents. 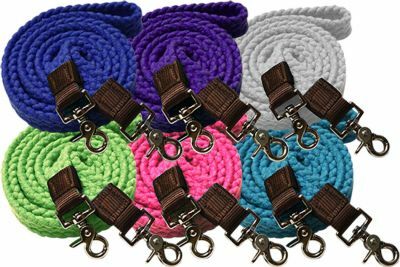 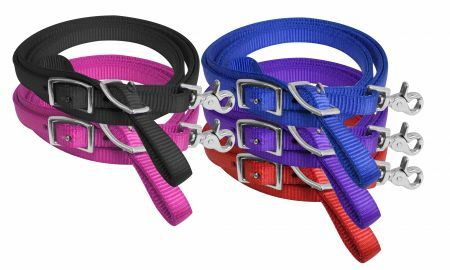 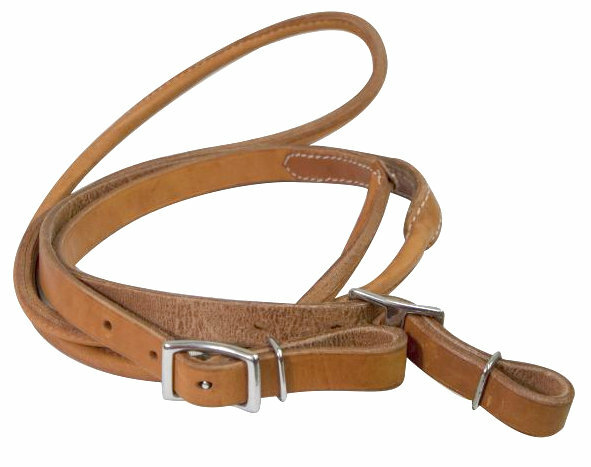 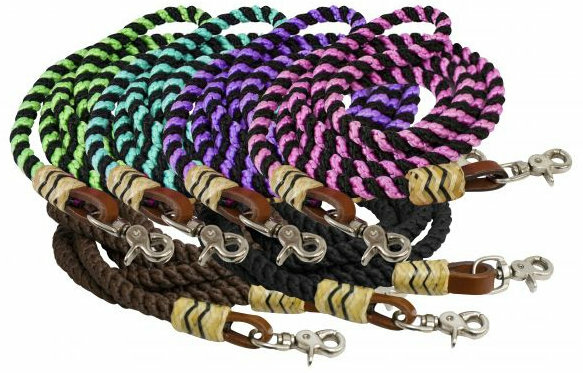 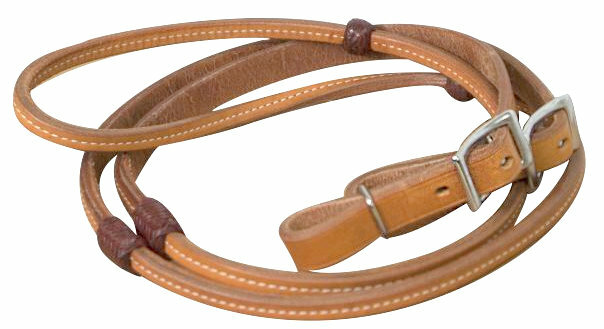 #19082 8 ft.rolled nylon split reins with leather poppers. 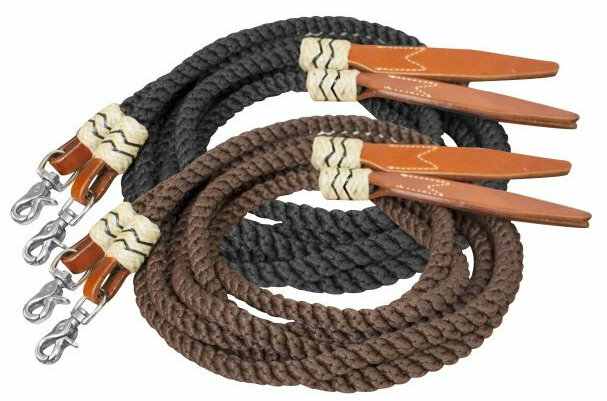 #19083 rolled nylon barrel reins.